Learn how to dance in the wind in an ideal place for beginners and expert. For pilots already having the flight licence or beginners who are still attending a basic course. Being able to take off “facing the wing”, or as it is usually called “French way”, is undoubtedly the technique that allows the control of your glider close to the 100%, both in strong wind conditions that in almost no wind. It ‘also the most effective method to visually check the line’s bundle to be sure it is completely free of tangles. The Cornizzolo’s aerology is characterized by very weak winds for most of the year; because of this, it is virtually impossible to find the right conditions to practice this basic technique. For this reason, every autumn the Aeroclub Monte Cornizzolo School organizes a week-air holyday at the Castelluccio di Norcia plain, in order to learn the various techniques of reverse launch and soaring flight with the paraglider. Every day, on the Castelluccio’s plainis possible to have thermal winds that allow you to have fun and learn continuously from the morning up to the night. 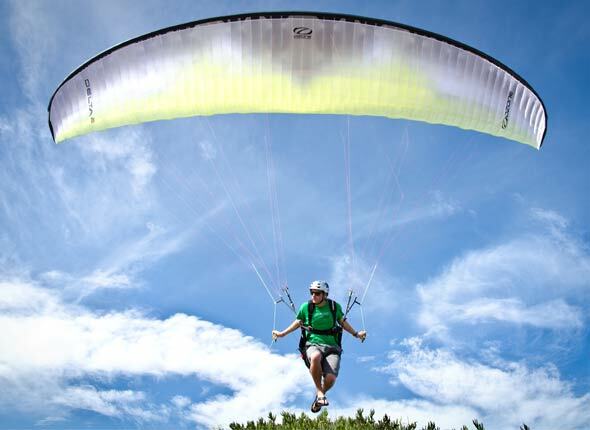 This course is suitable for all level of pilots, from those who want to learn the basic techniques of reverse launch to those who want to improve their technique with strong wind on the slope. - Soaring flight and thermodynamics flight.